I’ve been blogging for a little over a year now and many times I still feel like a newbie. I was completely green when I started Kitten with a Whisk and all I knew was that I wanted to track my recipes and this seemed like a fun way to do it. I had never shared recipes before because I never – I mean never – wrote them down. So while my problem has never been coming up with a new idea or a recipe, there was a problem when it came to replicating one I had created previously. Believe it or not, I have actually used the print feature for some of my recipes I’ve posted here. I don’t keep them on file once I upload them… I probably should but I hate files clogging up my computer. All this has nothing to do with the recipe I’m going to share with you. Oh wait – yes it does. So my blog is a little over a year old and I’m still learning new things about being a food blogger. The most recent lesson is: Plan on posting EVERYTHING you make. A lot of times if I’m just cooking a quick dinner I don’t worry about writing down the specs as I go. And many times those dinners have been really great, and I would have loved to have posted them here. The recipe below was one such occurrence and was even apart of another dish that I didn’t write down either that was spectacular. Blogger FAIL. This recipe took me 3xs to replicate what I did the first time so I could post it. And it was just a guacamole recipe! 1- Cut avocados length-wise and remove the pit. Scoop out flesh into a bowl. Add lime juice and mash until smooth. 2- Add remaining ingredients and mix to incorporate. Allow to sit for 15 minutes in the fridge covered. Taste test for spiciness and adjust as desired. 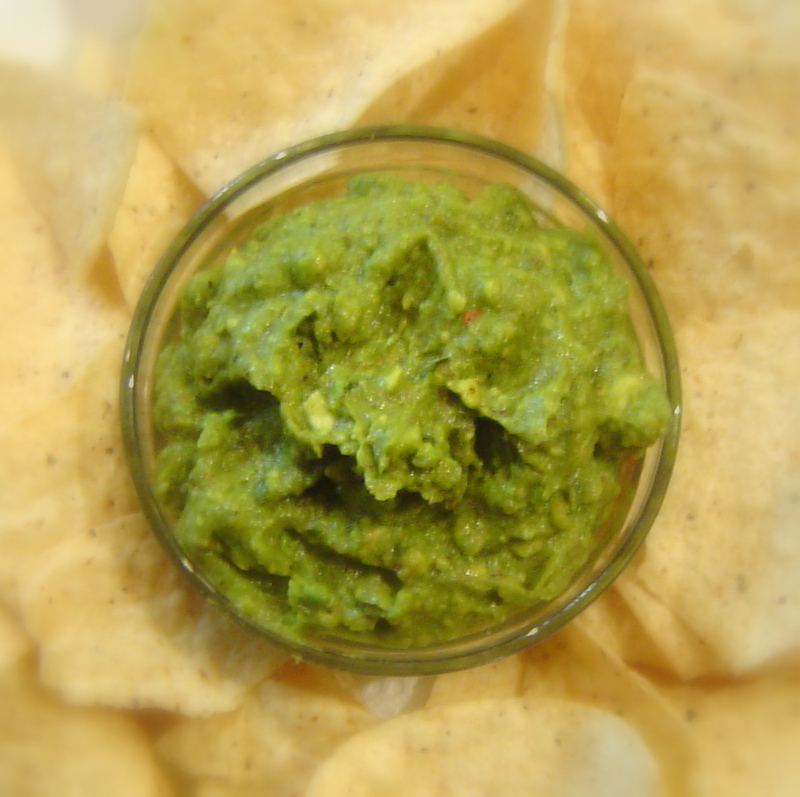 Thoughts: I came up with this version of guacamole because I didn’t have many of the ingredients I needed to make this version I was also in the mood for something with a little heat and went to add cayenne pepper only to realize it never made it during the move. So I improvised and went with a Cajun spice mix. Any one you want to use is fine. This recipe gives you a mild spicy flavor but feel free to make it as spicy as you want! I ll definitely try it. I like green things! Glad I found your blog! I am constantly making food-blogger-fails, and also recently wrote a little post on it. 98% of my meals are 'thrown together', I never measure anything, and am constantly adding a little more of this, a little more of that along the cooking process, which makes it so difficult to keep track of - but also my favorite way to cook. Great lessons learned here. I keep a spiral notebook in the kitchen where I write down most cooks so I have a chance at replicating it later. But sometimes I go back to those notes and I ask, "What the **** did I mean by that?"